After four years of a legal stalemate between lawyers representing victims of sexual abuse by priests and those representing Roman Catholic Bishop Robert Brom, new voices are asking to be heard – those of parishioners. The newly formed Parishioners for the Churches and Schools has filed a motion in federal court to intervene in the San Diego diocese's ongoing bankruptcy. Bankruptcy Judge Louise DeCarl Adler said at a hearing yesterday that she would not grant the group standing in the case now but would keep an open mind regarding its request. The group's leader and lawyers said outside the courthouse yesterday that they are not aligning with either side in the bitter dispute but hope to offer a fresh path to settlement. Diocese attorney Micheal Webb and plaintiffs' attorney Irwin Zalkin both said they welcomed the group's ideas. Debtor: Roman Catholic Diocese of San Diego, which filed for bankruptcy Feb. 27. Represented by the diocese's lawyer and attorneys from Tucson and San Diego. Creditors committee: Composed of plaintiffs who filed lawsuits against the diocese claiming they were sexually abused by priests or other personnel when they were minors. Represented by a Los Angeles law firm. Organization of parishes: Formed to uphold the interests of the 98 parishes and led by local priests. Represented by a San Diego attorney. Parishioners for the Churches and Schools: Newly formed foundation to uphold the interests of lay Catholics. They were represented yesterday by attorneys from New York and San Diego. The voices of nearly 1 million Catholics in San Diego and Imperial counties have not been adequately heard, said Patrick Hazel, the group's president. “If the result of the settlement process would be to reduce the ability of this church to educate its children or continue its Catholic charity work, that would be unjust,” Hazel said. Abuse victims and their attorneys, however, have repeatedly stated there is no need for churches or schools to close. The diocese and parishes have ample property and financial assets aside from churches, schools and missions with which to settle the approximately 150 abuse claims, according to the plaintiffs' attorneys. Hazel, who said he has never met Brom, is chief executive of Semtek, a computer-security firm. He is a former executive with The San Diego Union-Tribune and a member of St. James Catholic Church in Solana Beach. Among several other members of the parishioners group at a news conference yesterday was Bob Baker, founder of the Bob Baker Auto Group. Though saying it is neutral in the legal dispute, the parishioners group strongly backs the diocese's position that the area's 98 Catholic parishes are separate entities and not owned by the diocese. “Since the founding of California and the establishment of the first mission at Mission San Diego, parish property has been regarded as property that belongs to the parishioners,” said the group's attorney, Fletcher Paddison. Parishioners want to intervene in order to “preserve and safeguard their contributions and the assets they have created for their churches,” he said. The parish-ownership question had never been an issue until the diocese filed for Chapter 11 bankruptcy protection, Paddison said. But it looms large with a trial coming within the bankruptcy process to settle the ownership dispute. The diocese has offered $95 million to settle the abuse cases, far short of the more than $200 million in damages that Paddison said is being sought. The new group is similar to one formed in Portland after the archdiocese there filed for Chapter 11 bankruptcy reorganization. The Oregon group also was concerned about how the bankruptcy would affect parishes and praised the settlement reached earlier this year because no schools or churches would have to be closed. Paddison and Hazel said they were unaware that some local parishes have been directly sued by abuse victims. Nor were they aware that many more parishes are likely to be sued – in addition to the lawsuits pending against the diocese – should the judge send the existing cases back to state court for trials. Barring a settlement during ongoing mediation talks, a hearing on the plaintiffs' motion to return the lawsuits to state court for trial is set for Aug. 23. Webb, the diocese's attorney, said the bishop was aware that the group was being formed. “We see this as a positive event,” he said. But, Webb said, the group does not speak for the diocese, and he repeated the diocese's stand that the settlement offer represents “fair and equitable payment” without crippling the mission of the church. The fact that parishioners had nothing to do with the sexual abuse of children committed by priests is beside the point, Zalkin said. 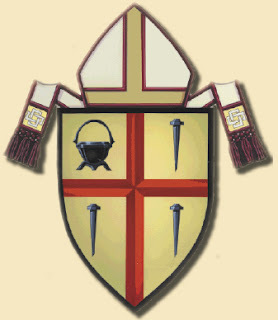 The parishes and the diocese are responsible as institutions because officials generally failed over many years to remove offending clergy members after learning of credible abuse claims. In court yesterday, Adler approved more than $1.7 million in legal fees and other expenses accrued in the first four months of the bankruptcy case. The diocese must pay all such fees and expenses for both sides in the dispute.